05_ custom colors : you can choose any 5 colors of our "le petit lambswool". 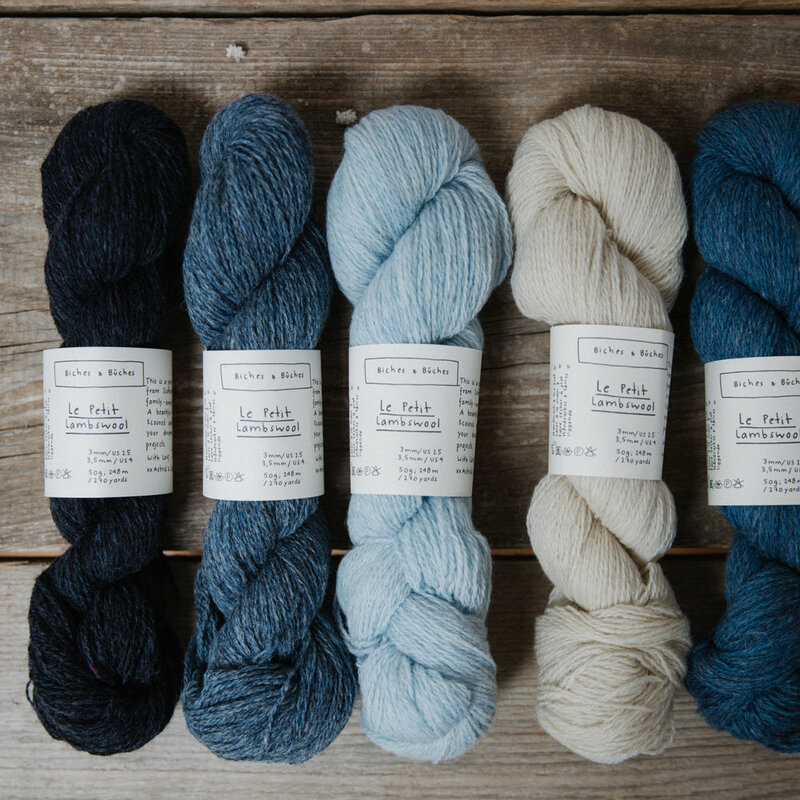 you can discover all of the shades on the wool product page and just fill out the form underneath ! the wool : it is the biches & bûches "le petit lambswool", a natural and 100% lambswool from scotland. astrid knit this shawl with needle size 3.5mm / UK 9.5 / US 4 - which you can find in our tools shop ! 90 x 236 cm / 35" x 93"